Safeguarding means protecting people’s health, wellbeing and human rights, and enabling them to live free from harm, abuse and neglect. 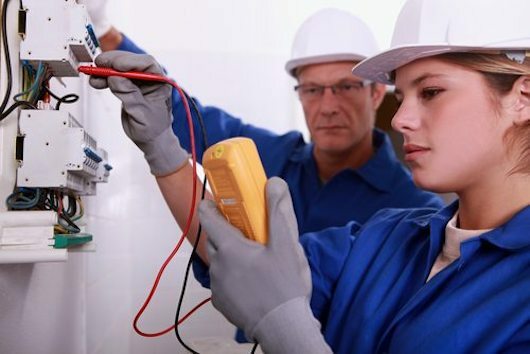 It is the responsibility of Optima Electrical Training to proactively promote safeguarding understanding for all of our learners, employers and employees. • To ensure that all learners feel safe and also to enable learners to voice any potential safeguarding concerns. • To support learners to gain the knowledge to take responsibility for their own safeguarding in the future. • To embed equality and diversity and ensure learners are knowledgeable about subjects beyond their own experience. • To give them confidence to investigate sensitive issues and support citizenship and inclusion for all, and to recognise when others are at risk. • Meeting their needs and interests. • Any safeguarding concern or instance is investigated appropriately. • To ensure that the safeguarding policy is updated annually, and that all staff have read and understood this policy. • To embed robust safeguarding and child protection practices across all areas of the provision. CPD developed through monthly team meeting and as learners on individual TAQA and Management qualifications. To include Data Protection and Health and Safety. Ongoing updates from industry sources and research. Monitoring of www.gov.uk alerts and current priorities. All employers are to be informed of the importance and requirement for safeguarding and the themes which will be discussed with their employees. New employers to be informed at initial meetings. Employers will also sign agreement to support safeguarding activities on individual Apprenticeship agreement documentation as new learners join Apprenticeship programmes. All learners to receive an induction session where a standardised presentation details Safeguarding, Equality and Diversity, Health and Safety, the course requirement and support for all. Discussion of Safeguarding – meaning and approach throughout the Apprenticeship. Themes to be discussed and the process for raising any issues. Discussion of confidentiality and Data Protection. Where to find resources and signposting to expert agencies if required. Expectations of Learners in respect of safeguarding and learning. All learners are set a health & Safety exercise as part of their induction. Prevent safeguarding will also be an addition to our induction topic. Learners with any concerns in regards to safeguarding issues raised or their own safety at any stage of their apprenticeship have guidance to speak to their Tutor detailed in their handbooks which is reiterated through A&G sessions and monthly discussions. They also have access to the Les Rose, the Optima nominated safeguarding representative which includes email and phone number which is detailed in our induction handout. All records of safeguarding incidents are held in a secure, central location with access limited to the designated persons. Tutors should be knowledgeable of general Safeguarding issues and support services available but it is not the responsibility of Tutors to address any specific issues raised by Learners. Tutors should complete a report to be reviewed by a safeguarding nominee immediately upon notification. The records should record precisely what has been alleged using the words of the complainant. If appropriate, factual observations about the observable physical and emotional state of the individual should also be recorded Instruction and timescale will then be relayed to the Tutor. Only the designated persons (Les Rose) can make a decision in regards to referring a complaint of allegation, having gathered and examined all relevant testimonies and allegations. All safeguarding records to be reviewed on an ongoing to basis to identify potential themes and areas of concerns which will then be addressed immediately and escalated to the relevant parties as detailed above.